Your brakes are one of the most important functions of your car. Due to the necessity of functioning brakes, it can be intimidating to work on them yourself. However, it’s actually a simple job. 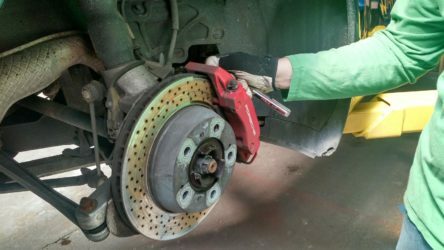 In this class, you will learn how to check the lifespan left in your brakes and change both the brake pads and rotors. Students will see a live demonstration of how to inspect and replace brake pads and rotors on disc-brake equipped vehicles. We will discuss common symptoms of impending brake failure. Students will gain hands-on experience changing brake components during the class.